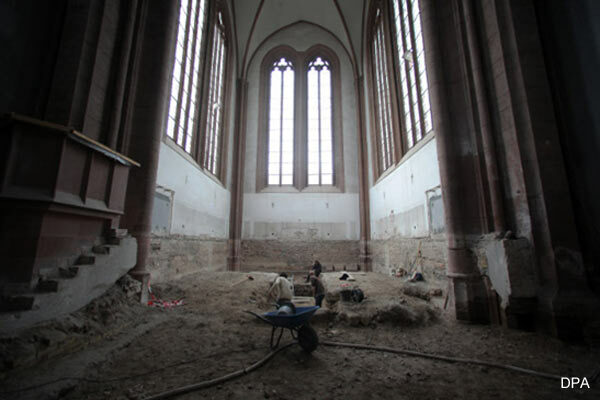 Archaeologists have found the 1,200-year-old remains of an old church beneath the “Old Cathedral” in Mainz, Germany, today known as the Evangelical Church of St John. The discovery is the only surviving Carolingian cathedral in Germany and the second oldest church in the country, after Trier on the Mosel River, which has a cathedral dating back to Roman times. The finding was described by Professor Matthias Untermann from the Institute of Art History in Heidelberg as “a big surprise”. The building currently on the site has been used since the 19 th century as church by the evangelical community, but it was never known that it was sitting on top of such a huge slice of history. 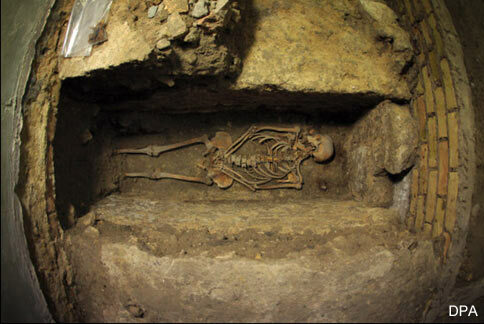 During the excavations, archaeologists also uncovered two human skeletons, which are the remains of earlier burials in the church. Research has shown that the 1,000-year-old “Old Cathedral” was incorporated into the Carolingian one. The Carolingian dynasty was ruled by a Frankish noble family with origins in the Arnulfing and Pippinid clans of the 7th century AD. The family consolidated its power in the late 8th century, eventually making the offices of mayor of the palace and becoming the de facto rulers of the Franks as the real powers behind the throne. 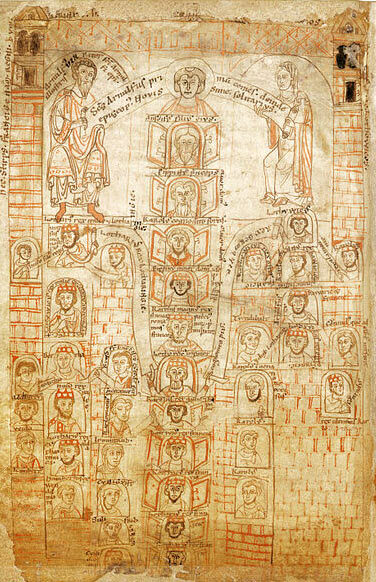 The Carolingian dynasty reached its peak with the crowning of Charlemagne, King of the Franks, as the first emperor in the west in over three centuries. His death in 814 began an extended period of fragmentation and decline that would eventually lead to the evolution of the territories of France and Germany. Very short article, wish there would of been more to it. Right as my interest started growing it ended and I wish I could have learned more on this or other similar info.